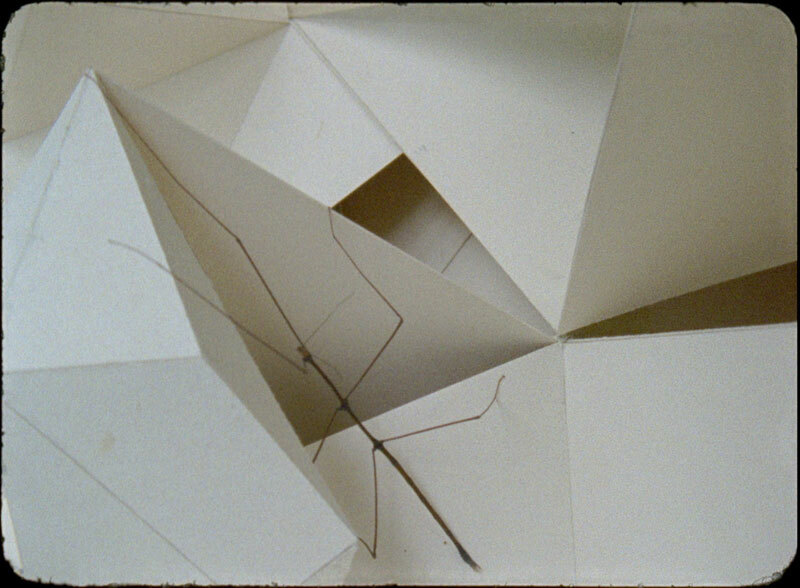 Phasmides is a 16mm film that follows a family of stick insects camouflaged in different sceneries. 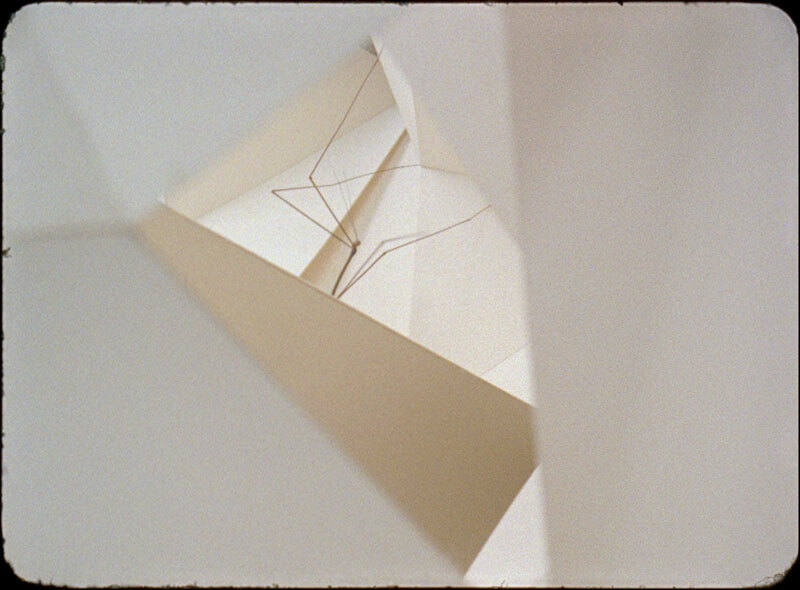 In a series of highly abstract shots, wherein the insects' silhouettes appear and disappear, the film intimates the instability and the fragility of the cinematic image. 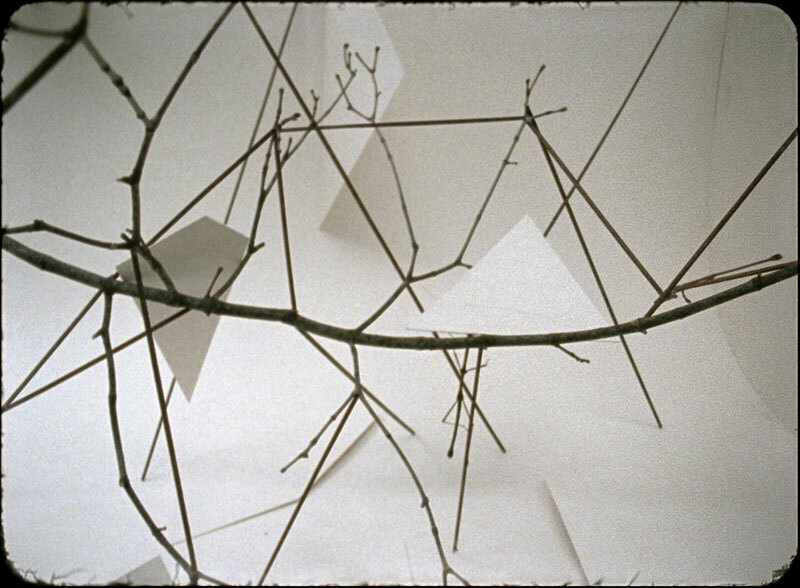 Over the course of the film, geometric forms become organic and organic forms reveal their geometry; the living seem inanimate and the inanimate lates with life. This odd integration of elements is surprisingly suave, as branches and insects blend seamlessly into geometric compositions, investigating a relationship between Abstraction and nature. 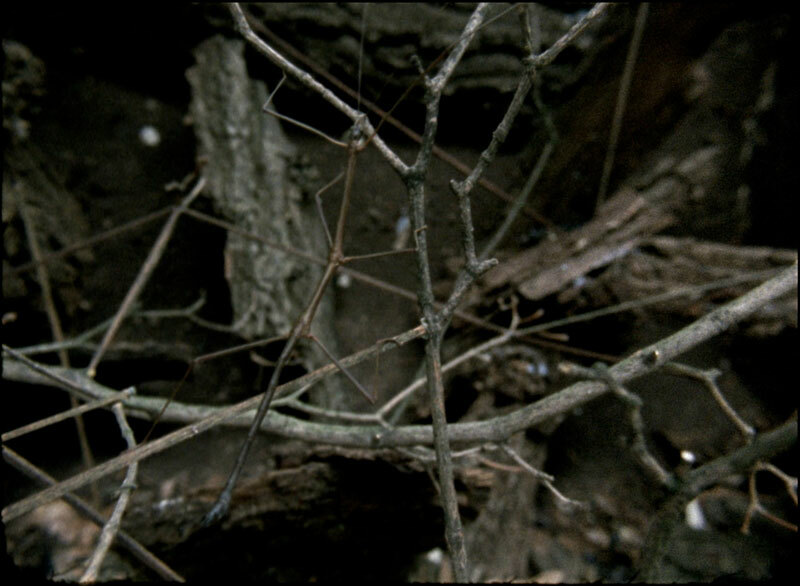 The recurrent figure of the stick insect evokes the possibility of an organism's integration with its environment; this integration is not only perfectly expressed in the phasmida's anatomy, but also in its behavior. Tells the French philosopher Georges Didi-Huberman that once walking in the Jardin des Plantes came to the vivarium area. He lingered there trying to see the animals, most of which were hidden or so still that he had little more than the option to search "its shape". 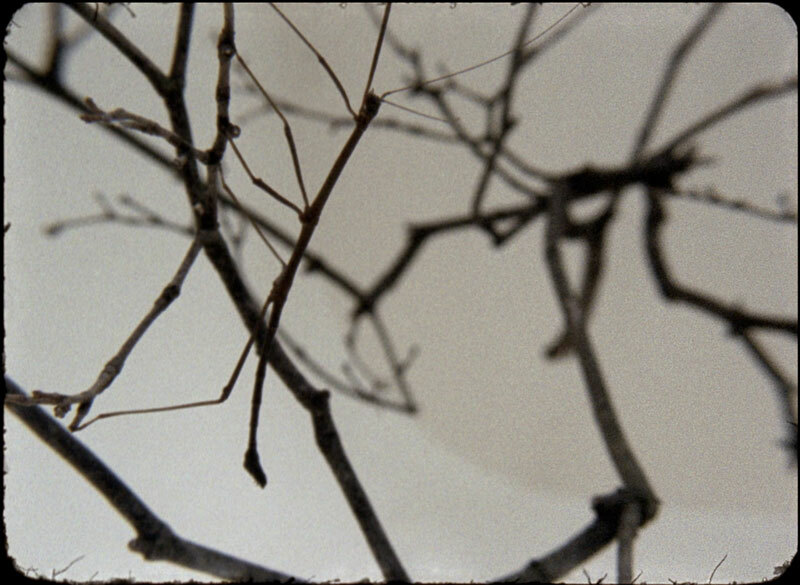 Standing a little in a vitrine that appeared to be empty, he was walking away when he suddenly realized that the fine branches and leaves that he had been taking for the scenery were in fact the animals themselves: stick insects, phasmids, moving extremely slowly, in a marvel of imitation. Or in other words: what appeared to be the background was actually the figure. The evolutionary process through which animals camouflage themselves is called crypsis, from the Greek krypticos meaning "fit for concealing", and refers to something that is hidden in plain sight. In his Essay "Mimicry and Legendary Psychasthenia", Roger Caillois suggests that contrary to popular belief, animals blend into their surroundings not to protect themselves, but rather out of a mythological desire to dissolve into the world. We might ask then: It's not our use of language, movement or form a way to dissolve in the world? The artist would like to thank Franziska Bode and Lissy Knauer from Arri, David Santaeulária, Benjamin Meyer- Krahmer for all his insights, Helmut Batista, Denise Milfont and Oto Milfont Batista, Sergio Martins and Ana Wambier, Miriam Papastefanou and Renate Schubert from the Akademie der Kunste, Thomas Florschuetz and Carla Guagliardi, Renata Lucas, Manuel Raeder and Mariana Castillo Deball, and Melanie Pfohl for providing the amazing insects.